Buddha and the Rakan, his deciples, are all in this main hall. The exhibition replicates the scene that Buddha is preaching to the Rakan. The 146 surplus statues of Rakan which cannot be stored in the main hall are exhibited. Each Rakan is speaking words of wisdom to you. 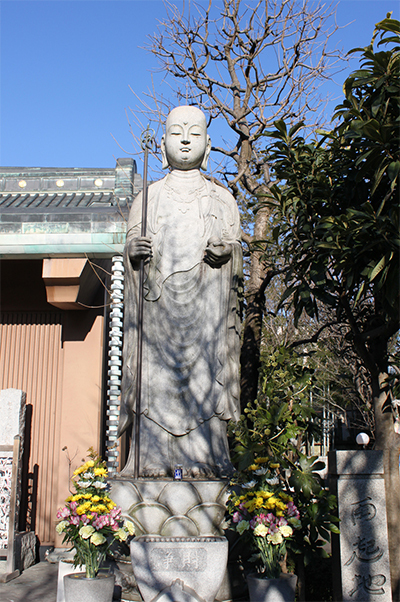 The statue of Saiki Jizou-son is looking at these people who are lost in the darkness with a tender smile. He motivates and empowers them and offers the light of hope and courage so that they can find their way. 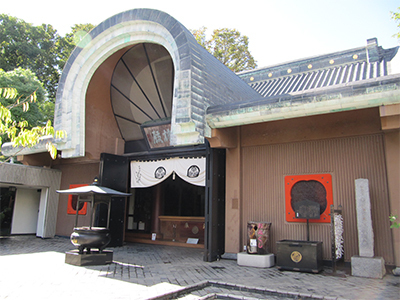 Along “The Lane of monuments“, you can find the monument to worships “Okoi Kan’non” a nun who belonged to this temple. Next to this we also have “Sakura-tai Genbaku Jun’nan-hi”, “Koh’an Yuai no-hi”, “Takahama Kyoshi (a haiku poet) no-hi”, “Hirayama Rokou no-kahi” and “Hokon no-hi”. 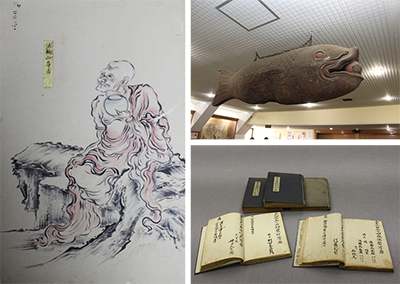 Historical materials of this time, including the photos of “Sakura-tai Genbaku Jun’nansha” are exhibited. 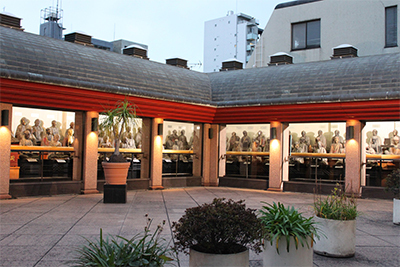 A painting of the statues of Rakan by Sumiyoshi Naiki (a painter from the end of Edo period) is kept here. It took him 2 years to complete the painting. A Ukiyo-e painting and a list of names who sponsorerd the making of the Rakanzoh stautues. These remind people of the days when the temple was beloved by the people of Edo (present day Tokyo). Kaiban (a wooden bell) used to inform the monks of the starting time of ceremonies. Budhist amulets and other items are available from the kiosk, in this building.